I think that if it'll dye linen, it'll definitely dye cotton too... you'll probably end up with a somewhat different shade/intensity but how can anything that comes from a pomegranate not be beautiful? 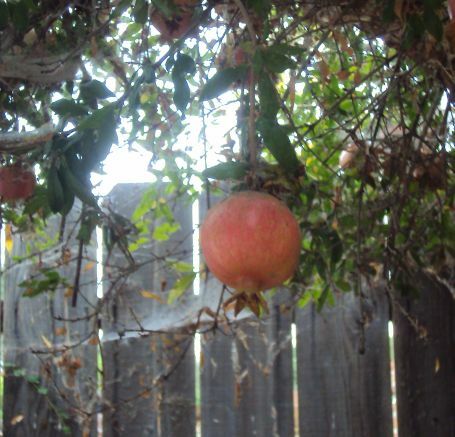 I don't think I've ever eaten a whole pomegranate, I need to rectify that because I do really like them. You're super lucky to have that in your yard!